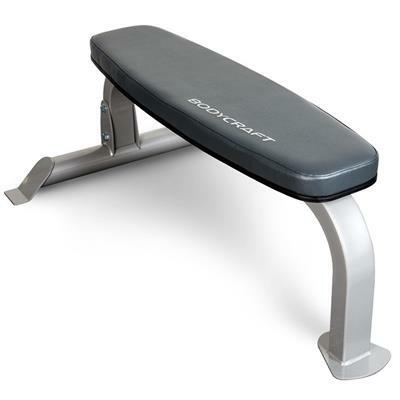 BodyCraft F600 Flat Bench. 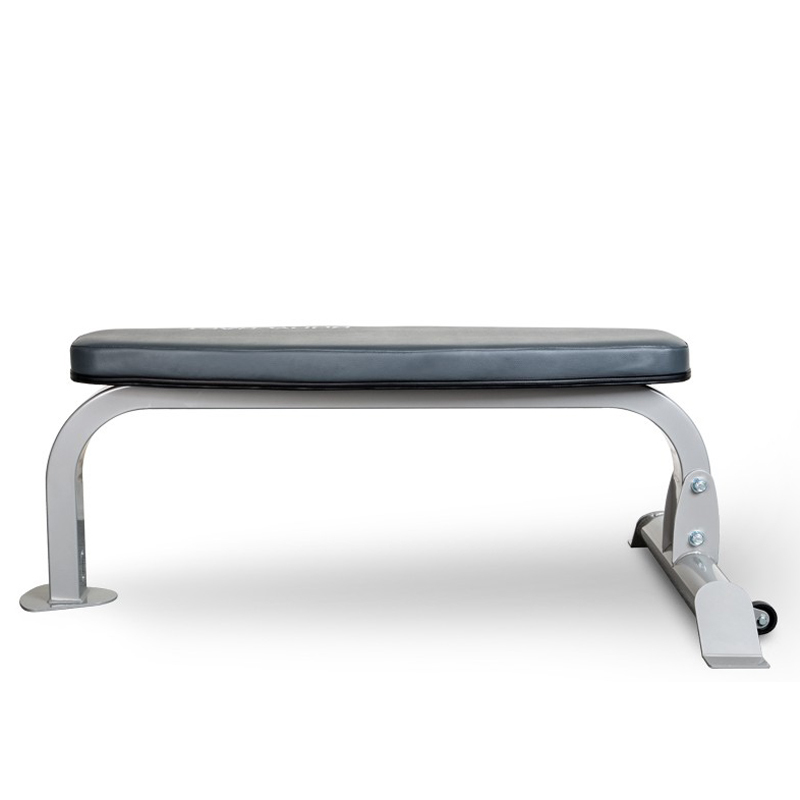 A simple, sturdy bench designed to work perfectly with systems such as our Jones Machines, Power Racks, and Smith Machines. Also a great utility bench, making it perfect for dumbbell work! 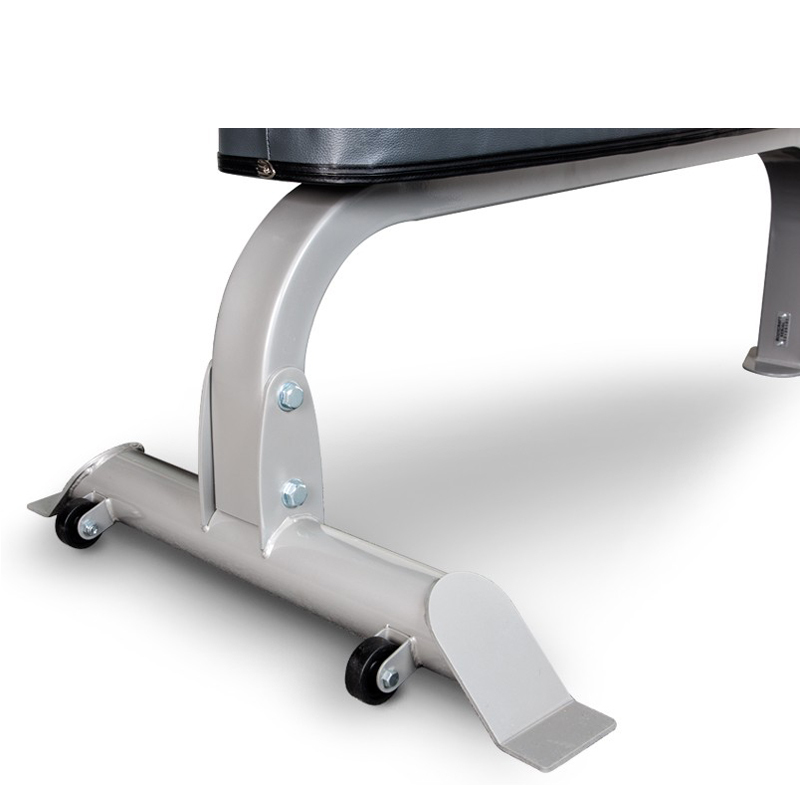 Transport wheels for easy maneuverability. Rated for up to 800 lbs. 3-points of contact for solid and stable use. 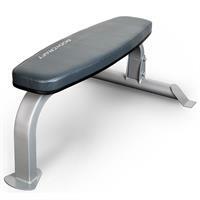 Great dumbbell bench: top of the pad is 17.5" from the floor making dumbbells easy to reach. Comfortable and sturdy pad: uses 2" thick, high density foam, topped with 1/2" low density foam for extra comfort. 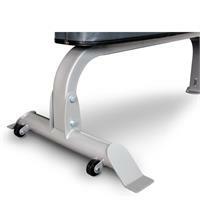 Smooth rolling transport wheels: allow for easy roll and go transporting. Solid construction: 2" X 3" rectangular and 3" round, heavy-gauge steel tubing. Upholstery: 2" thick high density foam, topped with 1/2" low density foam, then covered in industrial grade vinyl. Dimension: 48” L x 28.5" W x 17.5" H.